A flooded gym floor won’t just stop your workout. If it’s not taken care of fast, it can hurt your health! 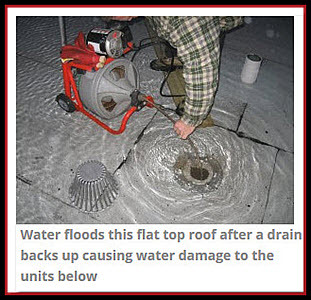 Water damage in commercial buildings is nothing new. 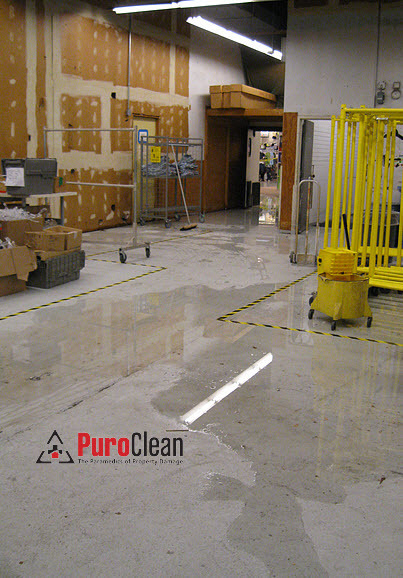 Up to 85% of all commercial buildings have had water damage at some point. 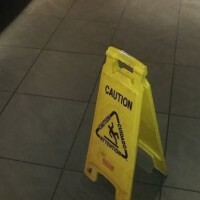 But when you’re the owner of a local gym, and you arrive early one morning to find your gym floor flooded with water, it’s a game-stopper. 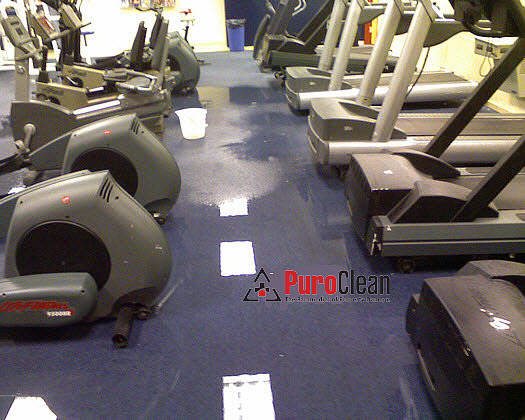 The owner of this Marlton, NJ gym knew the damage needed more than just a mop and a few fans. And he was right! Without prompt attention, his gym could have become a health hazard for his empolyees and customers. This was a clean water loss, so everything could be saved. But to do that, we had to work fast. First, we extracted all the water we could see. Then, we pulled the baseboards to make sure it hadn’t wicked up the walls. 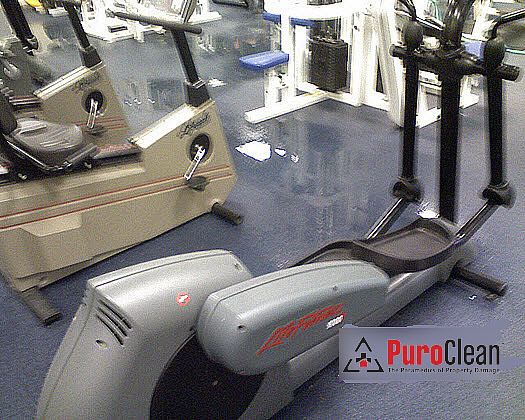 After that, we sprayed a non-toxic antimicrobial solution throughout the gym to prevent dangerous bacteria and mold and protect the indoor air quality. Within hours of discovering the flood, the gym owner was back in business, with most of the workout areas ready to use. 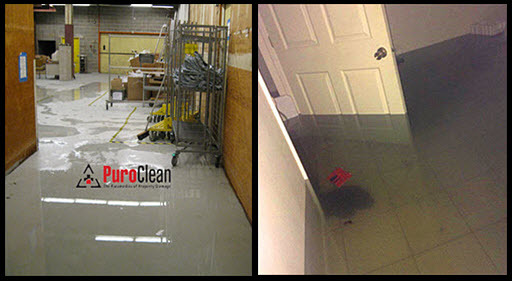 We were able to completely mitigate the damage within 3 days. Unfortunately, not that many gyms are that diligent. There are currently no indoor air quality standards in the United States for gyms, and no legal or public health requirements for gyms to monitor it. found high levels of pollutants in every one of the gyms they tested. 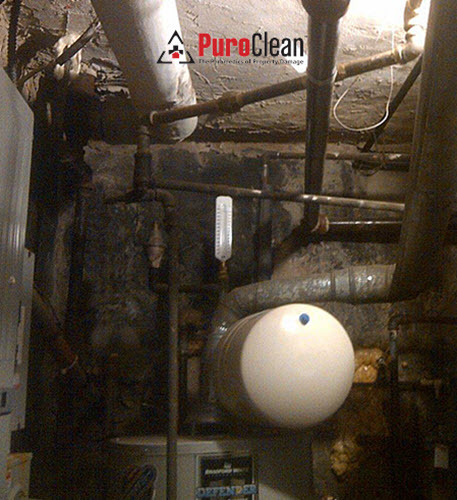 The levels of toxins were so high they exceeded all the safety standards for indoor air quality. So, what was in the air? So, while this is one of the first studies to examine the effect of indoor air quality on people working out, negative impact on health of volatile organic chemicals (VOC’s) has been widely studied. 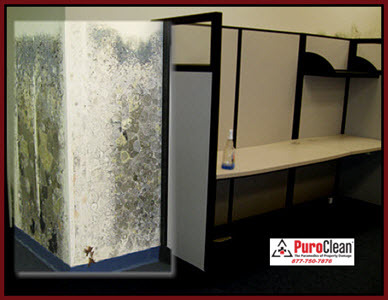 VOC’s are a by-product of indoor mold and bacterial growth. And the health threat is real, causing more than just respiratory problems. Exposure to VOC’s can cause damage and disruption to the nervous system. 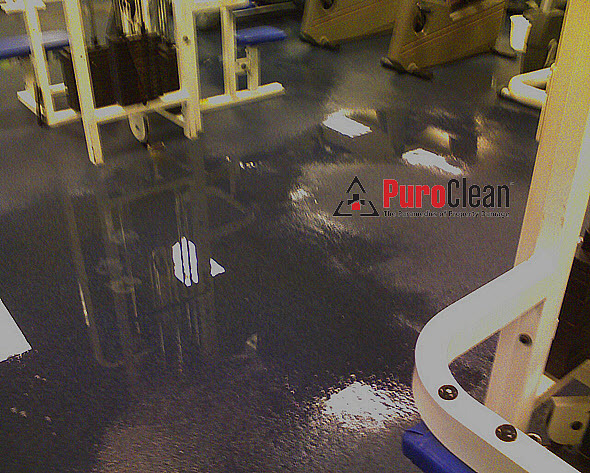 If you’re the owner of the gym, make sure you get any water damage from any source remediated by professionals. 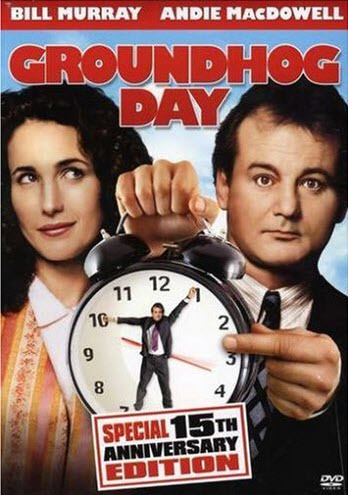 Don’t leave it to chance! 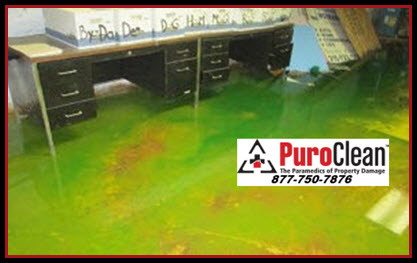 Professional water damage restoration in commercial buildings includes daily monitoring with meters to measure the moisture – as well as treatment with non-toxic antimicrobial solution. If you’re a gym goer, do the sniff test. If the air at your fitness center smells like chemicals, consider talking with the owner or building manager. 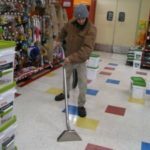 There are many non-toxic cleaning products on the market that don’t contain formaldehyde or other hazardous chemicals. Next, you can ask them to check the ventilation system. 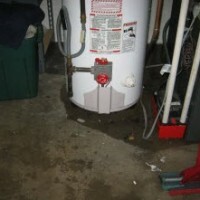 But, if the air smells musty or like mildew, it’s time to get an indoor air quality assessment done. 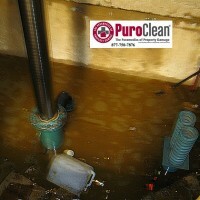 Because mold and bacteria like to grow in warm, moist areas with lots of organic material (think sweat and dead skin – eeuw! ), gyms are a perfect petri dish. One way to control this is by controlling humidity. The Center for Disease Control recommends getting the indoor humidity levels down below 50% to prevent mold growth. Even with all the panting and sweating that comes with exercise, dehumidifiers and air conditioning can accomplish this. We’ll get you clean, dry, and sanitized fast so no mold will grow and the indoor air quality of your gym stays safe – for you, your employees, and your customers.